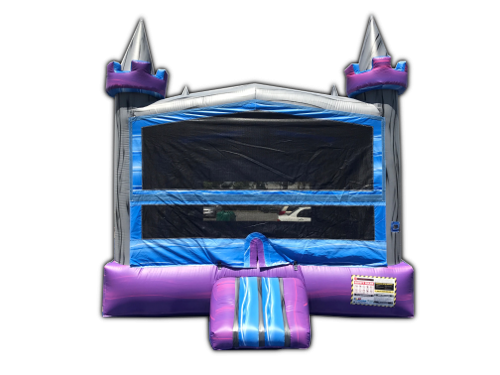 This Marble castle bouncer is super fun with large bouncing area and a basketball hoop inside. These custom marble colors make this castle bouncer stand out no matter where you are. So make your back yard party or event a big hit with our new custom bouncer. The marble castle bouncer was made in the USA.